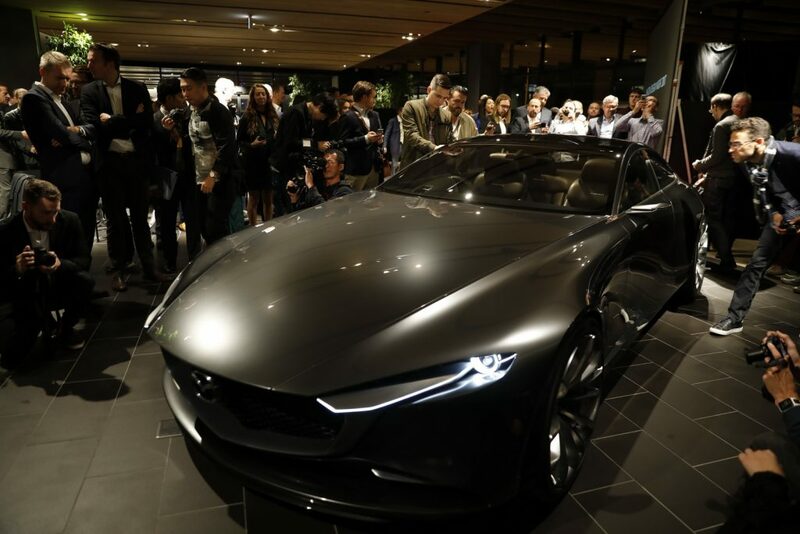 Following the striking Kai concept, Mazda’s Vision Coupe kept everyone impressed with its dynamic design, representing the next chapter in the company’s KODO design language. 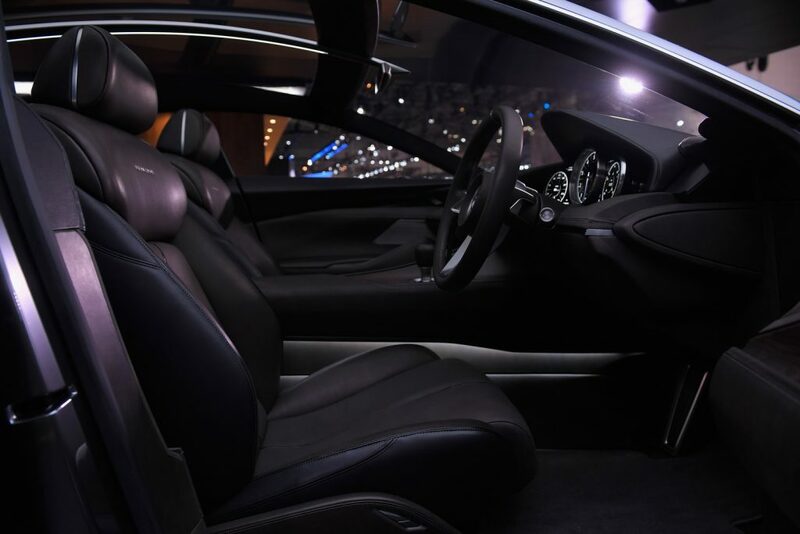 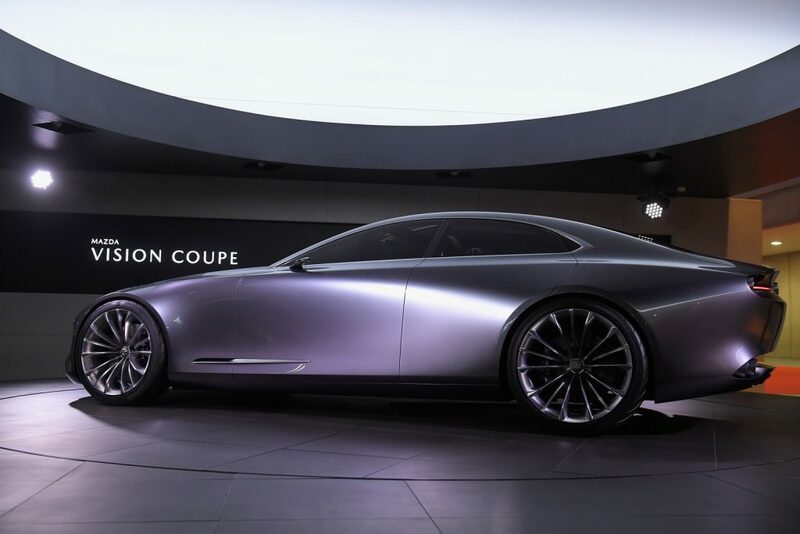 The bodywork conforms to the golden ratio of a classic coupe design, with the cabin positioned toward the rear of the car while the flowing, clean lines make the Vision Coupe look like it’s moving forward when stationary. 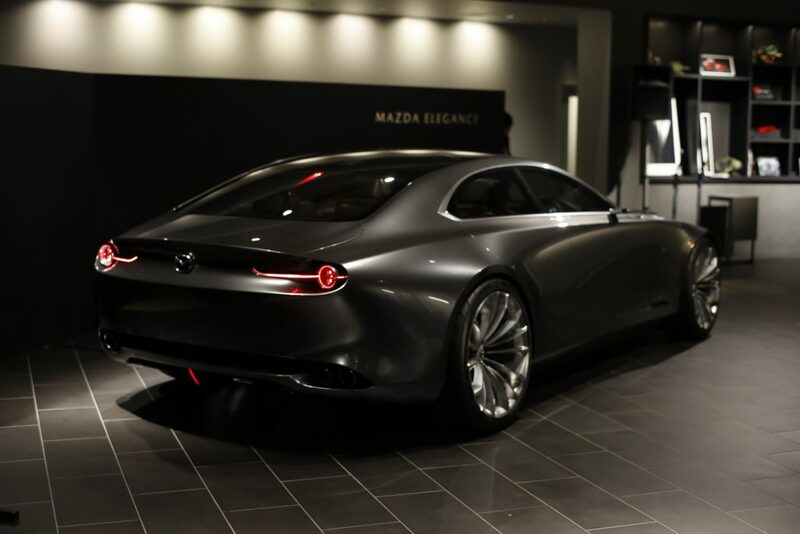 Mazda purposely opted for an exterior design that’s free of all non-essential elements while focusing on classic traits like the prominent shoulder line and body sides that present linear transitions in different lights and shadows. 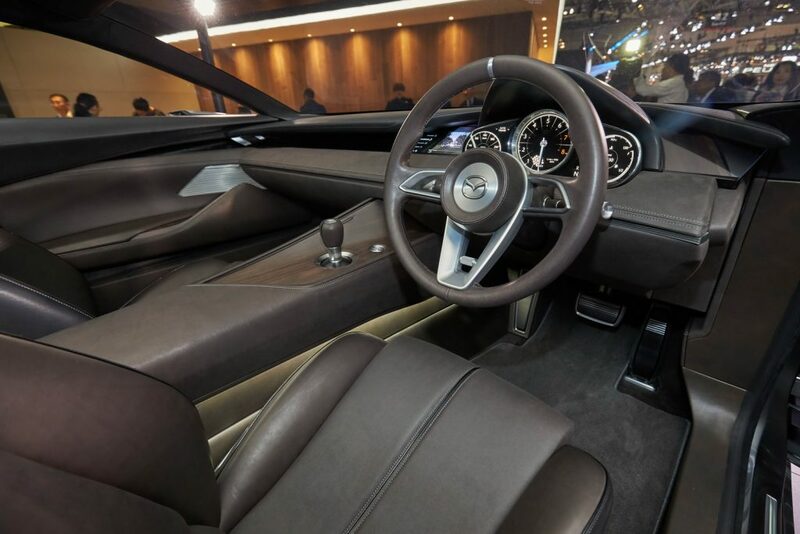 The same atmosphere is present inside, where Mazda used the traditional Japanese architectural concept of main order to make passengers feel embraced and not confined. 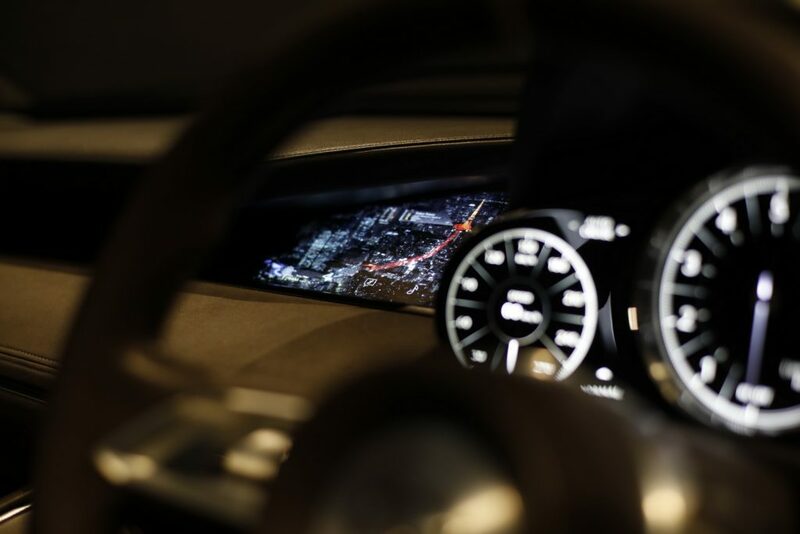 A big centre console runs across the length of the cabin and features a touch-sensitive surface next to the driver for controlling the infotainment system while the dashboard adopts the same minimalistic approach with the smaller Kai concept. 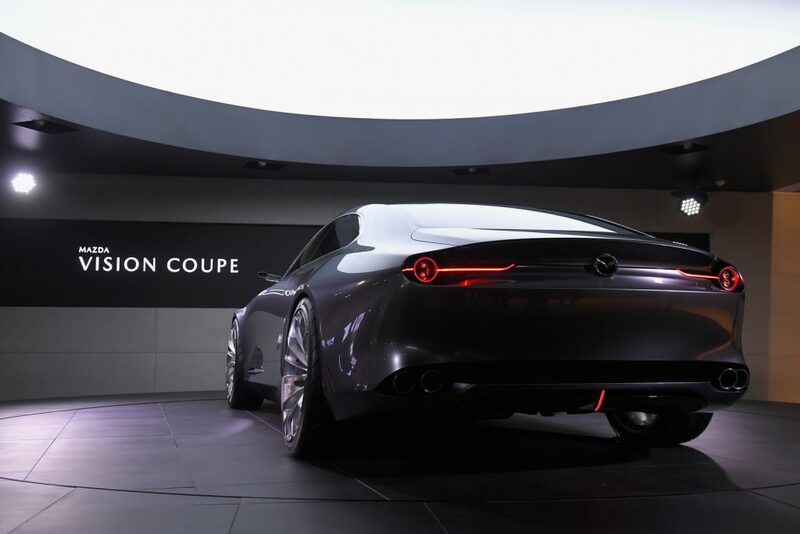 The Vision Coupe concept is the second big sports design study after the RX Vision, which should indicate Mazda’s will to add a new sports model to its range. 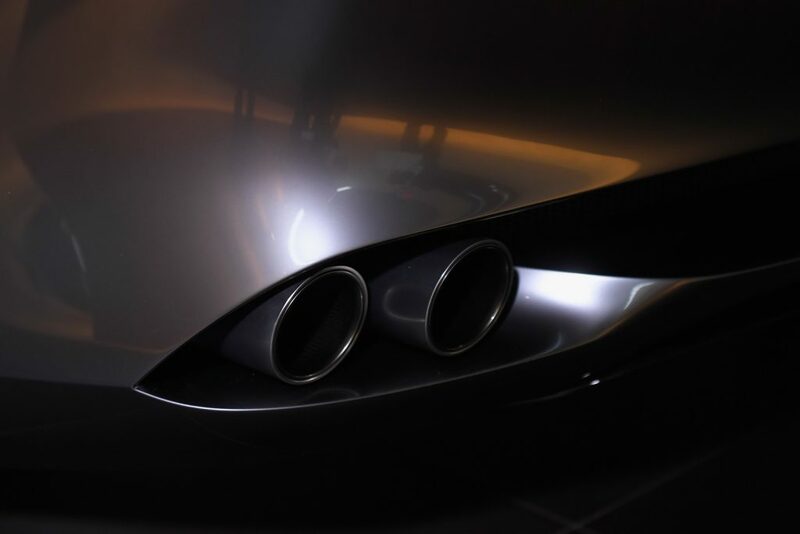 Whether they pull the trigger, however, is something that sadly has to wait for a later date. 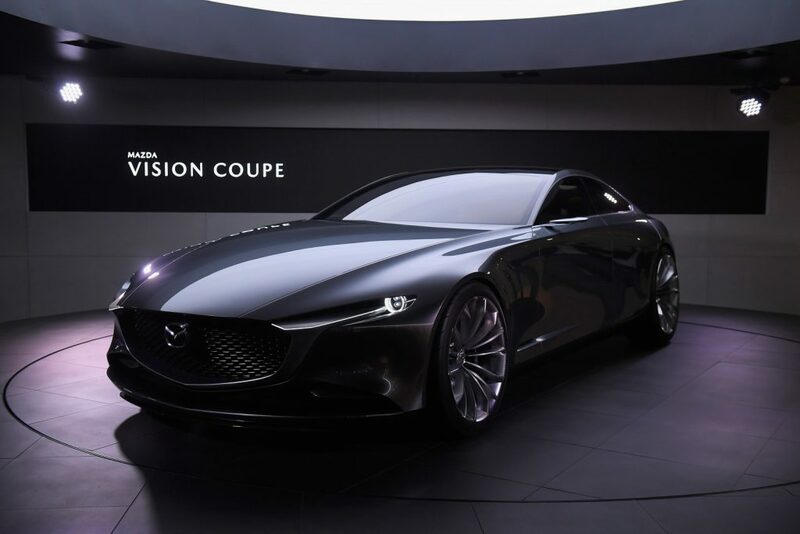 Mazda Vision Coupe promises to elevate all of these strengths to the next, slightly more upscale level of the brand. 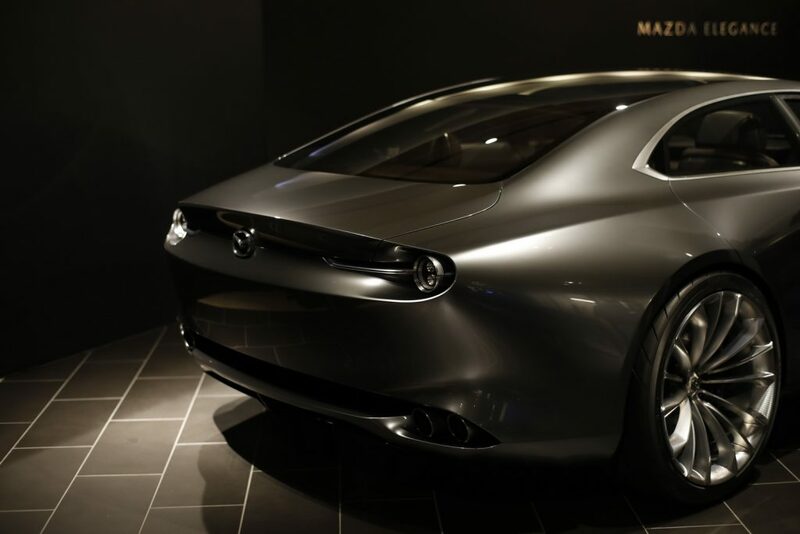 With this move, it appears that Mazda is attempting to set itself up in a stylish/affordable position long abandoned by luxury brands like Saab or Volvo: an antidote and alternative to the German triumvirate of Mercedes, BMW, and Audi.